Through memorial and special acknowledgement gifts, your friends and loved ones are remembered in the prayers of the St. Bede monks and students and are acknowledged in our Bedan Record publication. An example of our memorial/special acknowledgment packet is pictured below. Please contact Jeannie Margherio in the Development Office at 815-250-0347 or jeannie@st-bede.com for packet requests. 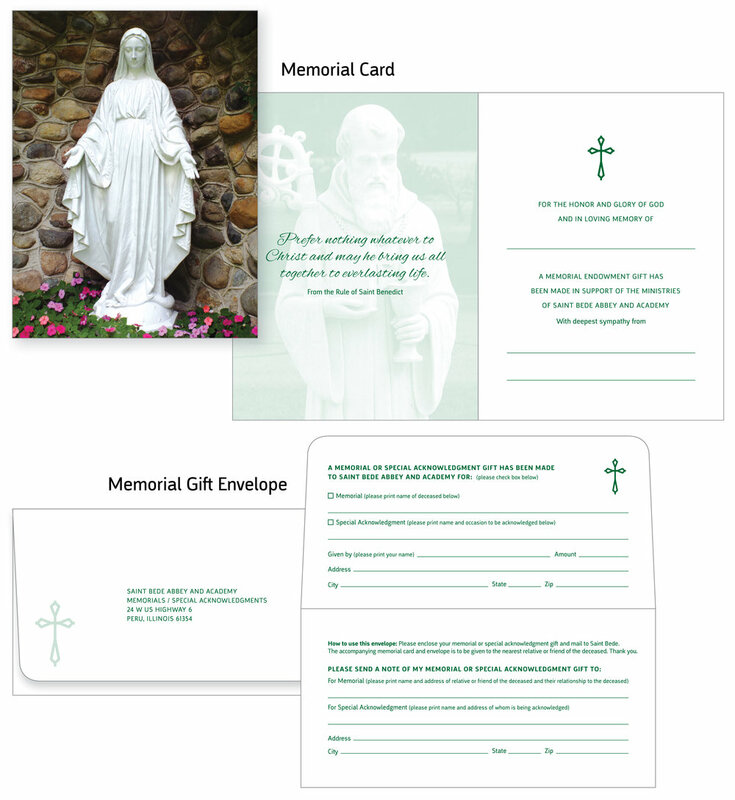 Celebrate an anniversary, birthday or milestone for family and friends by making a gift in honor of them to St. Bede. Their special day will be remembered in prayer and acknowledged in the Bedan Record.